Drew Barrymore is the definition of a multihyphenate. Thanks to her acting career, she's been a household name since her childhood in the 1980s and has since gone on to flex her entrepreneurial muscles by forming the production company Flower Films, launching a cosmetics line, and penning a memoir. Most recently, Barrymore partnered with Walmart to create her very own home décor line, which she aptly named Flower Home. The collection feels eclectic, vintage-inspired, and entirely one-of-kind. It's nothing short of what you'd expect from the free-spirited actress and businesswoman and each piece is tied to Barrymore's own life, inspired by her personal travels and the places she loves. "I have always had a love for creating joyful spaces—places where unexpected prints and patterns, shapes and styles, and colors and textures come together in the most delightful way,” Barrymore says in a press release. "My new collection of furniture and home décor is inspired by this passion and I hope it inspires everyone to make themselves at home," she continues. The line features more than 200 pieces ranging from small decorative items to larger furnishings. You can find Barrymore's designs now available at Walmart and the brand's additional family of sites, Jet, and Hayneedle. "Drew Barrymore Flower Home is the latest addition to our high-quality, on-trend home assortment and another example of how we’re making a beautiful home possible for our customers,” Anthony Soohoo, SVP and Group General Manager for Home at Walmart U.S. eCommerce explains in a press release. At these affordable retailers, Flower Home products start at just $18, with the most expensive piece—a midcentury sofa—coming in at $899. Keep scrolling to shop a few of Barrymore's favorite items from the newly released collection. This lamp is quirky in all of the best ways. 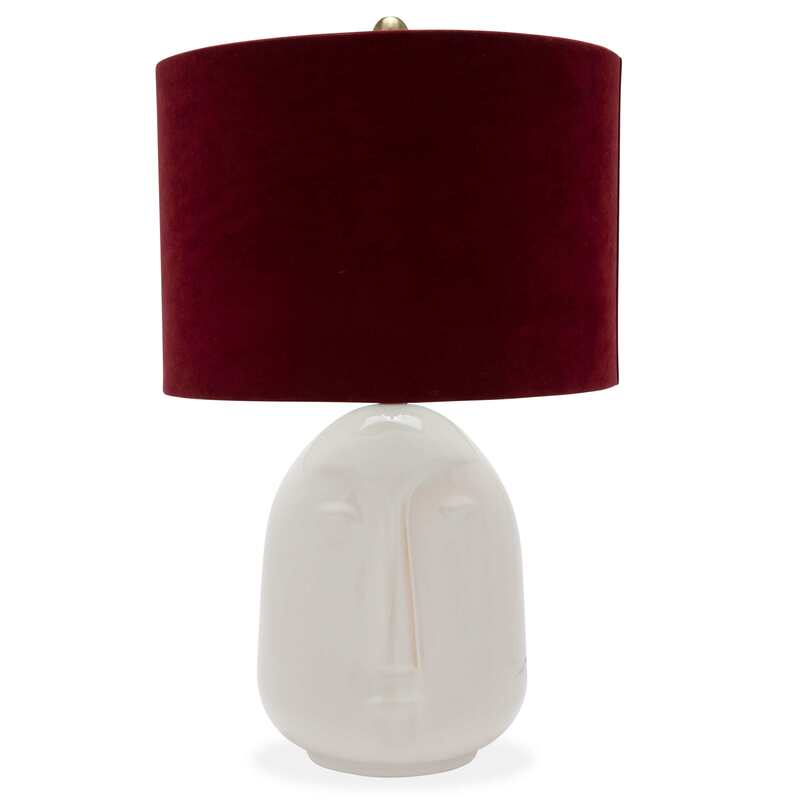 A chic velvet shade in a rich merlot hue catches the eye while a ceramic base is a real showstopper. At first glance, you would hardly notice the elongated face that appears on the lamp, but once you see it, the piece instantly becomes whimsical and charming. 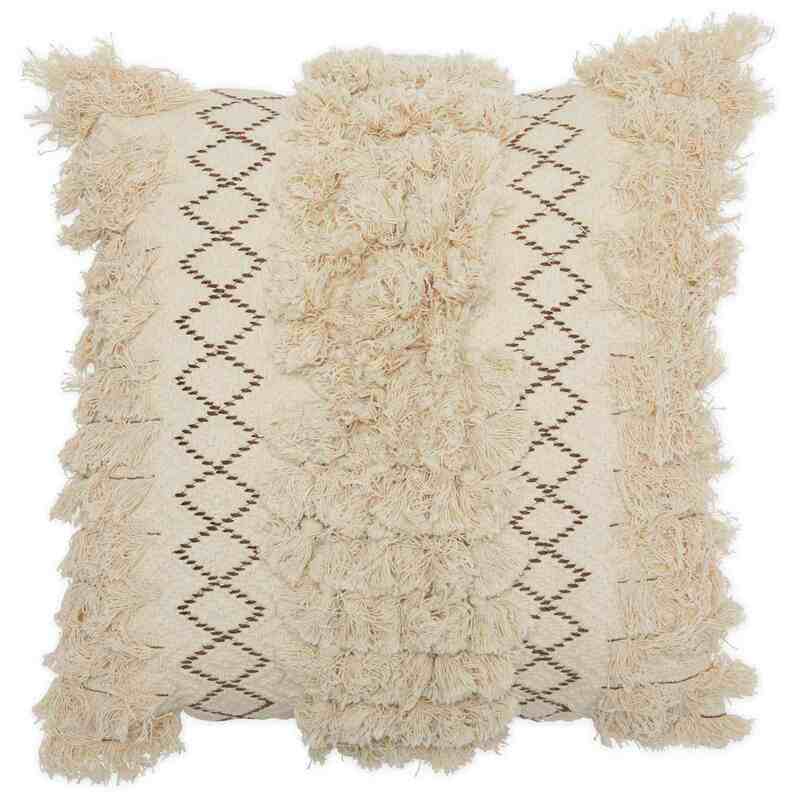 A highly textured throw pillow, this piece touches on a few different home décor trends, including its macrame material, decorative patterns, and neutral color. Toss it on the sofa, an accent chair, or even on a bed for a bohemian look. It could be styled in both minimalist and maximalist spaces. Perfect for any empty corner in your home, this accent chair is serving major vintage vibes. Its style is decidedly mid-century modern while its simple silhouette allows a bold print to stand out. 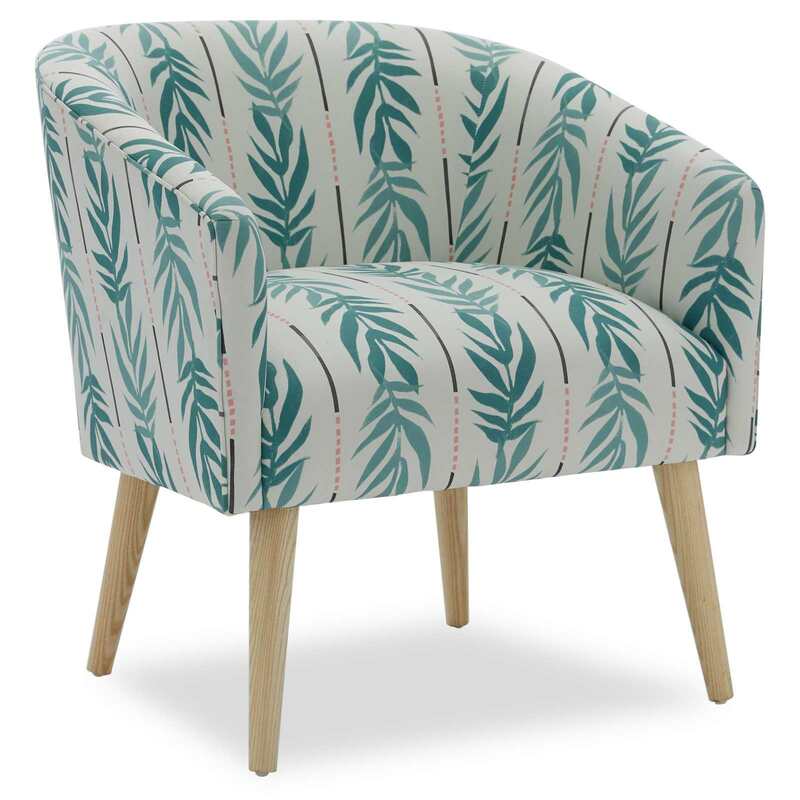 The armchair is decked with tropical leaves and structured lines. It would look stunning in a light and airy room in need of a pop of visual interest. Of course, no spring or summer line for 2019 would be complete without at least one rattan element. 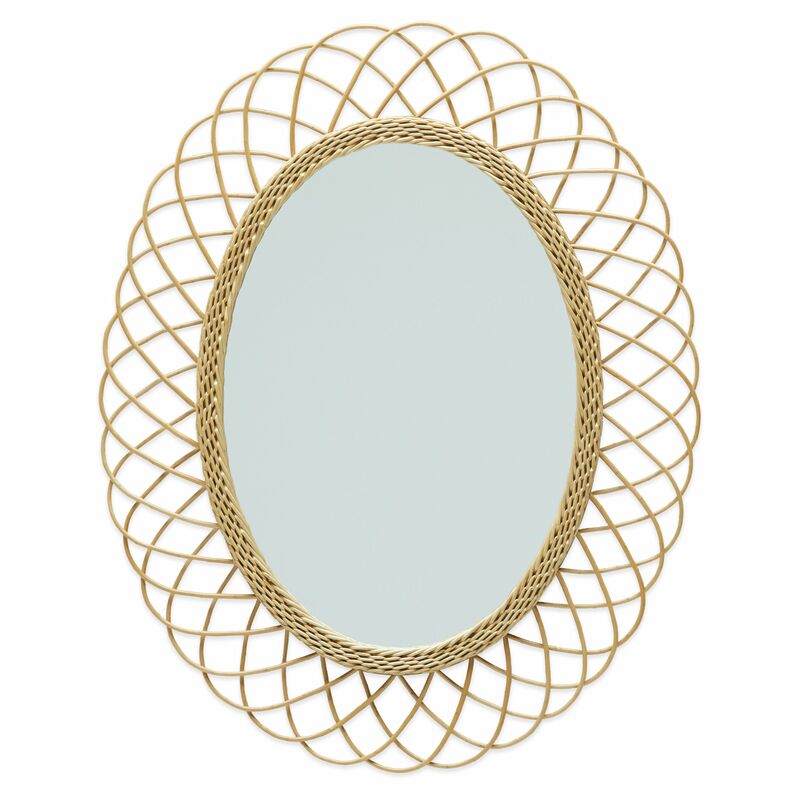 This oval wall mirror does the trick with its hypnotizing rattan design. It's perfect for hanging in a bare hallway or even above a console table by your front door. 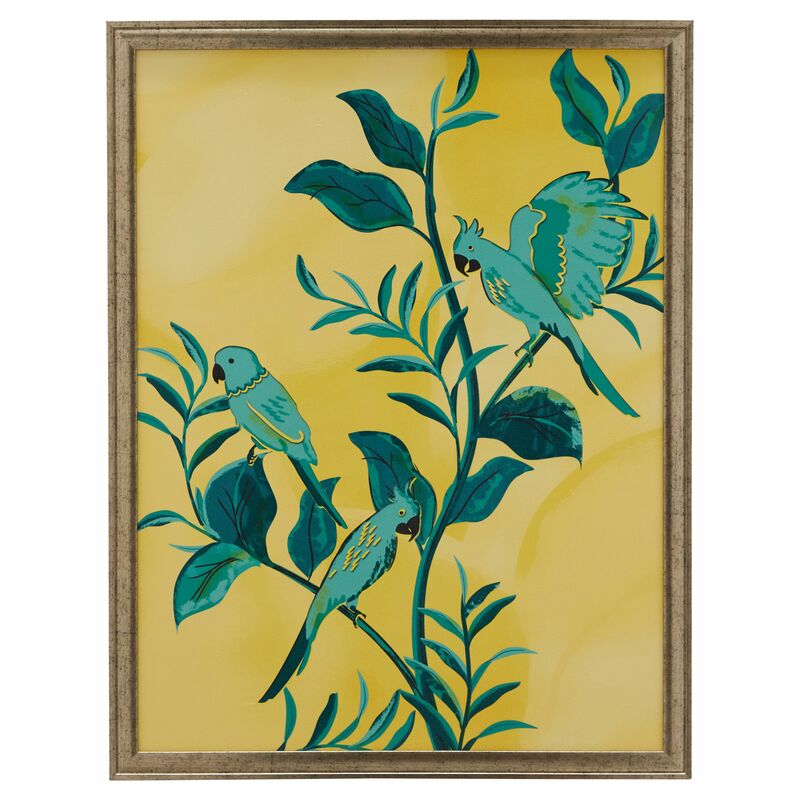 Another piece that brings the outdoors in, this oversized canvas features three blue birds perched cheerfully on swaying branches. It feels exotic and tropical, like a visual vacation. Hang it on a blank wall so it can speak for itself or incorporate it into a larger gallery wall for a bold, collected statement. It would look lovely paired with some of the additional canvases that are part of Barrymore's new collection. Handwoven macrame baskets work as both stylish, decorative elements, as well as fully functional storage pieces. 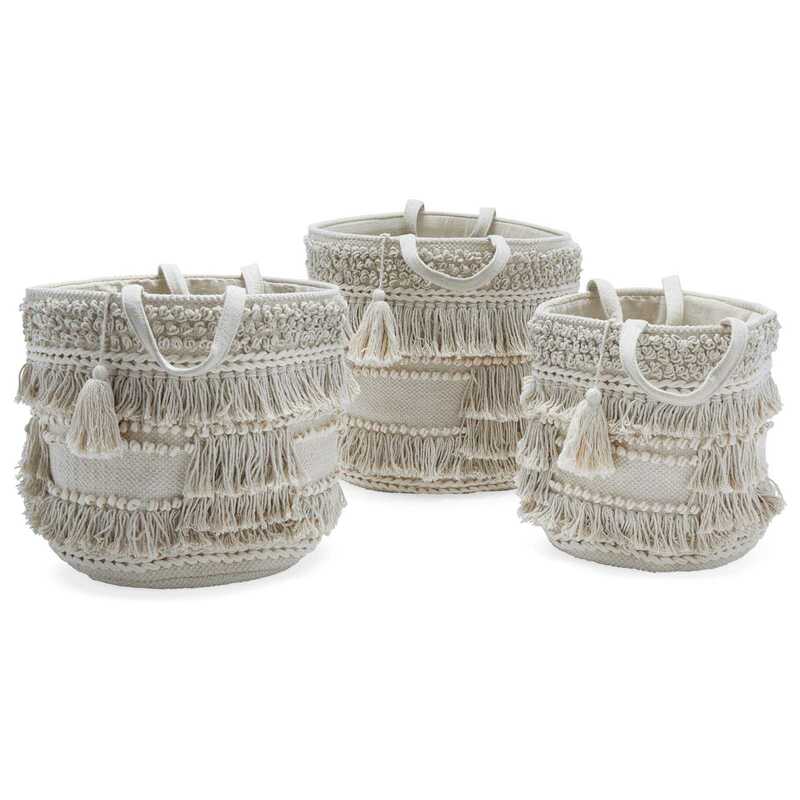 These playful baskets certainly feel relaxed and boho chic. They could stand alone or in a cluster in the corner of a sitting area or living room. Leave them empty or use them to store cluttered objects like children's toys, extra throw blankets, and unused pillows. Not for minimalists, this bright and colorful loveseat is saturated with fun hues and personality. It features a purple and pink succulent pattern, allowing it to feel infused with nature in a most dramatic fashion. 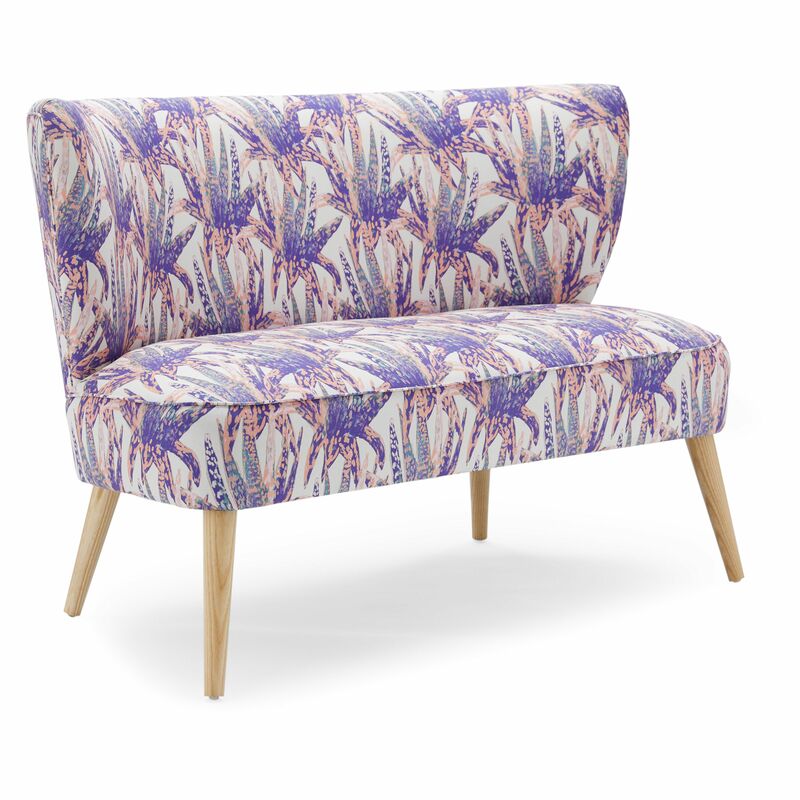 We love the midcentury feel of the design paired with the cheery print of the fabric. Place it in a sitting area of a large living room or allow it to serve as the main seating in a smaller space. Head to Walmart, Jet, or Hayneedle to shop the rest of the unique and eclectic collection that has Barrymore's personality written all over it. Next Up: 3 spring décor trends we spotted in Target's latest catalog.